I started blogging on this blog about six years ago. It was something I'd been pondering for a while, I'd been following some other blogs and occasionally had things I wanted to get off my chest or share that I thought might be of interest to others. It was starting my first academic post that was the final spur- I was often coming across interesting items in the news that I wanted to share with my students, so initially it was primarily intended to be a way of sharing this kind of thing, sometimes with a short commentary. I also used it to share other bits and pieces, announcements or personal news (for example, like any proud father, the birth of my first child was featured). However, over time the content and aims of the blog drifted. This was for two key reasons. First, at about the same time I began blogging I also joined Facebook. Fairly quickly, FB became my preferred method of sharing the small links and odd bits of news that I intended the blog for. This was primarily because I had a ready made audience of friends and students on FB, who would pick up, share and comment on them. With the blog, people rarely commented and to be honest, I'm not sure many people read it. FB gave (and still gives) that direct link and facility for easy response and sharing. It doesn't reach a big external audience, but it doesn't need to. There are plenty of bigger blogs out there which essentially act as archaeology news sites and aggregators. This was never what I intended my blog to be and frankly I have neither the time nor inclination to make it into one. The second major shift was the fact that I increasingly wanted to make longer and more thoughtful and discursive comments rather than simply posting news items. This meant that the entries got longer and the subject focus shifted somewhat- moving away from straight archaeology and more towards the overlapping worlds of heritage / archaeology / landscape / Englishness / folklore and traditions where my more straight 'academic' interests intersected with my wider personal hinterland. 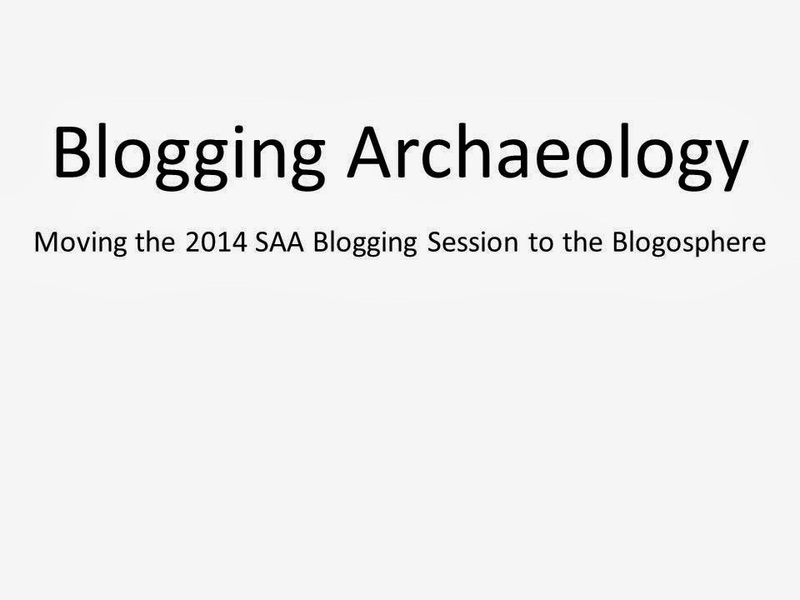 I am not sure that Outlandish Knight could now be considered a 'archaeology blog'. Looking back at the blog I've realised that the number of entries has declined significantly over the last two years. This is for one very simple reason- pressure of time. It takes time to formulate and write a longer blog entry, and having an increasingly pressured day job, small children and the occasional desire to actually get away from a computer screen, I've found it hard to force myself to sit and blog. I've spent plenty of time formulating entries in my head, but usually the pressure to mark essays, complete grant proposals, prepare teaching or just the desire to see my kids has prevented me from getting it all written down. This is a shame, and I am hoping that this blog carnival will be a kick up the behind to get writing again. There is also perhaps another reason for not writing much, and that has been perhaps harder for me to admit to myself; the blog readership has been relatively small. Whilst I don't necessarily write for a large audience and much of the entries consist of my personal ponderings, the failure to generate a readership does not encourage one to write. However, I've not been entirely silent on the blog front. I've got two other blogs. The most successful by far has been my Roman Binchester blog- this is focused on a major excavation project I run at the Roman fort at Binchester in County Durham (UK). This is updated every day we are on site (usually six weeks each summer), with occasional additional updates. This has had a much larger readership, primarily because it is a much more focused product. There is a large audience out there who are interested in the site. Some of the readers are relatively local to me- ie my students, staff colleagues and the many volunteers from the local community. We also have a regular relationship with US students who come and dig with us and have had particular connections with Stanford and Texas Tech - this has provided a wider international readership. Finally, there is a wide general audience interested in Roman archaeology who have followed us and also shared blog links. 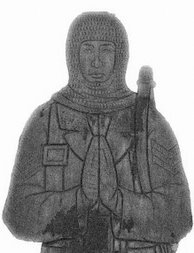 Combined with some high profile discoveries on site (the Binchester stone head for one) and odd appearances in the media, which also brings in readers, we've achieved a healthy but not huge blog following for Roman Binchester. 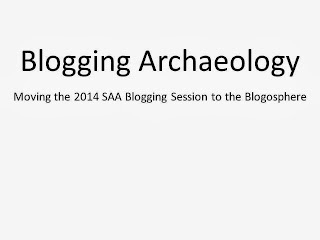 However, whilst I have tried to make it a relatively personal perspective on the project, it is very much a project blog rather than a personal blog but is far my most 'archaeological' blog output. Sadly, once again the pressures of time have taken its toll- and it's not been as regularly updated as planned, but I still hope to chip away with it as and when I can. I would say keep persevering with the blog David, I have found it an interesting mix. On the subject of audience, I have been writing my blog for about 18 months and had little idea at the outset as to what sort of audience size it was likely to get - would there be anyone out there actually reading it? In fact, I have been very pleasantly surprised by the traffic to the site and the interaction it has fostered (in terms of comments, contacts, book review requests etc). I largely promote my posts through Twitter and a number of landscape related jiscmail email lists (both quick and easy) and this seems to be quite successful in drawing people in to read the blog. I'm by no means a social media expert (and am not a fan of Facebook) but must admit to being a Twitter convert. I find it a simple way of engaging with people, ideas and information in a very self-managed and targeted way. Anyway, I too have a young family and not enough time to do everything I want to, so all the best with the blogs in the future.